We’ll see one more chilly night before temperatures rebound. Most of the area will be a few degrees colder than we were Saturday night. I’m expecting a widespread inland frost (perhaps a freeze) as temperatures drop into the 30s. If you live along the coast, it will still be cool tonight as we’ll drop into the 40s. Monday our wind direction will shift to the southwest, which will do two things: 1) it will moisten the atmosphere and 2) and it will warm us up. Monday night clouds will increase, which will keep temperatures in the 50s. I’m expecting us to stay dry for most of overnight, but showers will develop by daybreak. Expect a slow commute into work Tuesday morning. Rain will be steady through the early afternoon before tapering off to showers. Don’t get caught up in the exact values OR the placement of the numbers, but it does paint a pretty good picture of a rainfall range. Wednesday will be dry, but AFTER Wednesday there are a few forecast challenges. We aren’t done with this storm system. The cold front passes through on Tuesday, but the area of low pressure is still over Michigan. That low, will drift south and east — eventually it will stall. 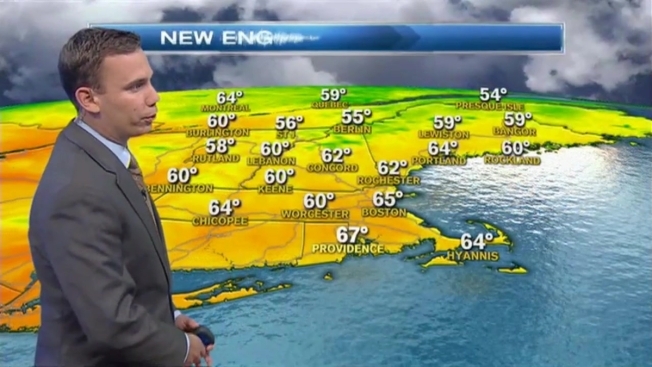 IF it stalls over New England, expect showers and cool, unsettled weather through next weekend.